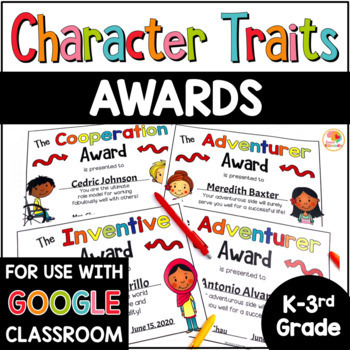 These End of Year Awards with Character Traits are perfect for Kindergarten through 3rd grade (upper level Character Traits Awards Certificates with older looking children can be found in the link below) and can be used any time during the year. 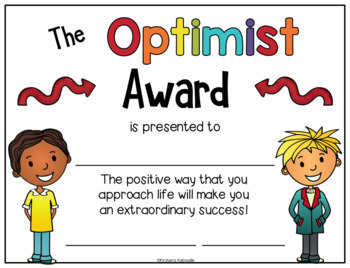 These awards include 34 different character traits and would be particularly timely at the end of the year before you send your students off for summer vacation. New as of 5/18/16: This ZIPPED file includes three PDF files with a full color version, a black and white version, and a multicultural version. 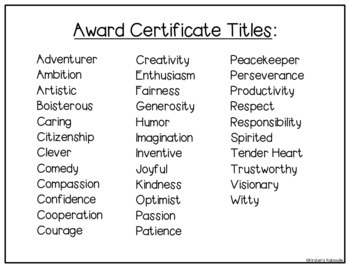 Each file includes all certificates with the choice of a boy or a girl (over 200 certificates total). These files are EDITABLE! Text boxes appear for the name of the student, the signature line, and the date line. You can print them as is and write on those lines or you can type in those fields. Please use the most updated version of Acrobat Reader to edit text boxes. 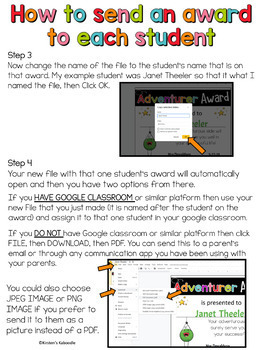 Instructions for editing those fields are included in the download.